You may be tempted to ask: “What is Tenant remorse?” Simply put, tenant remorse, is that gut feeling of regret, which comes after signing a new lease contract agreement and taking over the house. It is that feeling that makes you think the value of what you are paying for, might not be up what you are getting, or that your spouse or children, may not like the property. Thus, before you take a decision and put pen to paper on a new lease agreement, you need to make sure what you are paying for is really what you want. Forget the Hype: Why do we say this? Currently, the internet is changing several things. A contract can be started, payments made, completed and even signed online without face to face meeting. All you might see are some extremely beautiful pictures of the property and the rooms in it. This could be through an advert or certain mobile apps. This is not enough. Some of these pictures could be toned up or edited to make them look quite beautiful. As such, you need to forget what you see and visit the property yourself. Carry out your own research: This is another big issue in rental properties and real estate. It is very important to note that when you are buying a house, you need to also take the neighborhood into cognizance as well. You wouldn’t want your children growing in a rough environment. Your properties and vehicles might not be safe as well. As such, it is important to carry out your own research on the property before signing an agreement. Endeavor to visit the neighborhood both in the day and night time to see how it fares at such times. Assess your landlord or the property manager: Maintaining the property is the duty of the landlord or his representative, which most times, is a property manager. Before your sign a lease agreement, you need to assess your landlord so as to find out if he or she will hesitate to make repairs where the need arises. Ask questions and take note of his response. This could help you know and take your decision because, it could be hell living on a property where the owner does not care about the maintenance of the home. Little issues such as air conditioner or cracks in the wall could talk him time to fix, thus endangering your life in the process. Read through the lease agreement: It is quite amazing hearing that some people in this 21st century do not read the terms and agreement or policies that come with a product or service. It is very wrong. 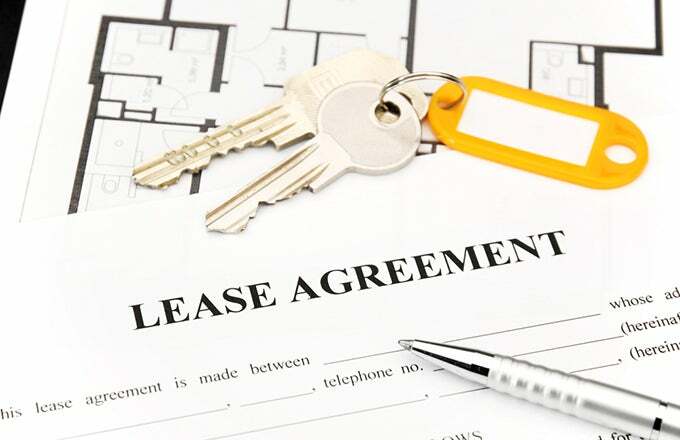 A lease agreement tells you a lot, about the property and the landlord. It also says much about the roles you need to play and the roles and repairs to be carried out by your landlord. A lease agreement also mentions a few do’s and don’ts and lists the penalties for defaulting on any of them. The need to carefully read through the lease agreement before signing cannot be over-emphasized. Do not rush to purchase a new property: Yes, delay could be dangerous, as you could lose the home to other potential buyers, you might also be struck with tenant remorse after you have signed a lease agreement only to find out it wasn’t quite a necessary purchase in the first place. Like earlier said, once you see vacant properties, whether for your home or business, carry out your research first. Evaluate and draw up a scale of preference. Take several things into consideration, such as the size of your family, nearness to your place of work, car space available before making that decision. When you are sure you truly wish to purchase the property after your evaluation and assessment, you can then put pen to paper on the lease agreement. In conclusion, that feeling of regret is one feeling no one would want to experience after paying for a property. It could make the rest of your stay miserable. However, with the tips posted above, you can effectively prevent tenants’ remorse. 10 Common Hassles A Property Manager Can Handle will help create ease and enjoyment in owning an investment property or properties. As a landlord or a rental property owner, it isn’t always easy handling your property on your own. Why do we say this? Because there are a host of issues that can impede your decision of taking charge of your property yourself. True, the long age adage says that no one can take care of your property better than you, one fact is, getting a property manager that sees your property as they see theirs, can help take your mind off the property, focus on other issues and avoid certain hassles. Inadequate Appraisal: As a real estate property owner, especially if it’s your first time, there is always the tendency to either over estimate or under estimate the rent to be collected be it on a weekly, monthly or daily basis. However, where you have a property manager to help you with this, it becomes easier to get an independent and an honest appraisal of the property. Knowledge of real estate laws: Let’s say you are a medical doctor or an accountant. It becomes harder for you to keep abreast of the laws guiding the real estate market since your field is not closely related. The case could be slightly different where you are a lawyer. Therefore, a property manager is there to help and serve you more efficiently since they are much more familiar with the various rules and regulations guiding the business. Legal issues: Just like mentioned above, your property manager knows much about the rules and regulations guiding the industry. Thus, if and where you have a court case, you are assured that your representative who is the property manager, knows the rules and can defend you properly where the need arises. Advertising your property: A property manager is one who is well grounded in the real estate business. He knows the right places to place adverts and the right people to reach out to. He might even have a list of tenants who need to buy or rent a property. When you have such a property manager, your property never stays too long on the vacancy listing as they play all their cards to ensure that they get you a suitable tenant. Selection of tenant: On the issue of selection of tenants, the process involved is not always an easy one, especially where you need high quality and reliable tenants who will cause you no issues. Professional property managers know the right questions to ask, and how to spot these tenants. Drafting agreement contracts: Before leasing out your properties to anyone, there is the need to draft out contracts that clearly delineates the roles and responsibilities of both the tenants and the landlord. Without this, you might find yourself handling almost every little issue. However, with a property manager, the hassle of drafting out an agreement contract, is avoided. Property maintenance: As a landlord, it is your duty to carry out repairs whenever the need arises. It could be a bad air conditioner or a termite infested door. These could be quite hard to handle on your part due to a few issues. A property manager can take the burden of this off your chest, and let you focus on other things. Rent collection: One major reason for giving out your house in the first place, is for collecting rent and increasing your income. A property manager makes sure rent is collected and as at when due, thus freeing you from the hassles involved in rent collection. Retaining good tenants: It’s quite difficult to find good and reliable tenants. However, once you are able to get one, you have to play all your cards to ensure that they remain. A good property manager is there to spot these good tenants and endeavor they remain, by making sure they deliver the highest quality of service to them. Terminating contracts: Where the need arises especially in the case of a bad tenant, rent contracts need to be terminated. A property manager helps you do this without the need to feel bad or guilty, which may not be the same with you. Replacing tub and sink caulks: For several properties, the caulks around the tubs and sinks need replacing, before advertising to potential tenants as this could be a huge turn-off if they see them. Fix: At the hardware store, purchase various tools that can help you get the job. For a little amount of money and in less than 2 hours, you can get it done yourself and save yourself the money involved in calling a professional. Maintenance of Gutters: Gutter issues are quite easy to fix, even though you may not so much cherish the idea. You won’t have to clean it on a daily basis, so there shouldn’t be much of an issue with doing it once or twice a year. Fix: There are certain tools that can help you make the whole process a walk in the park. A ladder or a Gutter Clutter Buster are tools that could help you quicken up the process. Repair drywall: Several rental properties always find a way to accumulate holes in the wall. As the landlord and owner, it is your responsibility to get it fixed, and on time. Fix: Just visit a home depot and buy a drywall repair kit. With this, the task is much easier. Fixing squeaky floors: Squeaky floors present red flags to people who plan to buy your house. The general assumption becomes that the house is plagued by structural problems. Fix: Install supporting braces right underneath the squeaky spots to help hold things in place. You could sprinkle talcum powder around the cracks to see if it solves the squeakiness. Changing roof shingles: Damaged roof shingles can be as a result of wind or trees. However, you do not need to change the entire roof to fix this. Fix: Pry the damaged shingles out of place and the nails as well. Replace the shingle with the new one and nail into place. Fixing leaky pipes: Leaky pipes arise from the wearing out of the seal or loosening of the fitting holding together the pipes. Fix: Turn off the water and clean the area the drip is occurring. Rub some epoxy around the area and cover with rubber. Allow to stand for an hour before turning on the water. Changing socket outlets: Bad socket outlets means your tenants cannot get to enjoy the use of electricity in their new property. Change bad socket outlets before putting up your property on the listing. Fix: Get a replacement from an electrical store, and use a screwdriver to change it without much hassles. You may wish to disconnect electricity coming into the house before beginning. Stained Bathtubs: One of the major turn-offs potential tenant face that could make or mar their decision to sign a lease agreement is stained bathtubs. Fix: Deep clean the bathtub. Make use of a mixture of cream of tartar, lemon juice and baking soda. Use this to scrub the tub, allow to sit for a short time and wash it away. 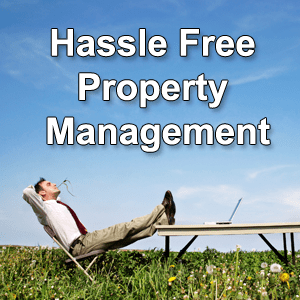 What is Property Management? Even if you do not have a concrete insight into property management or the real estate industry, the term should tell you that it involves the management of a real estate property. Property management involves a situation where a landlord or the owner of a property gives out his property to a property manager or a management company to manage his property on his behalf, advertise the rental properties, screen potential tenants, make repairs to properties, and generally oversee the welfare of the rental properties. Who is a Property Manager? A Property Manager is an individual, or the representative of a property management company that enters into agreement with an individual, to manage his or her property on his behalf, collect rent and oversee the welfare and complaints of tenants on the property. Property Management involves several duties, and a property manager is in place to handle the day-to-day operations of the property. A property manager or a property management company can take charge of several properties spread in different locations, be it single family homes, or large apartment buildings or vast office space. Advertising your Property: If you employ the services of a property manager from the onset, one of his responsibilities would include advertising your properties on various listings and finding the right tenant to place on your property. They are more experienced in this area and could even have a list of potential tenants. With the use of several software, and networking with other property managers, he efficiently advertises your property and gets a suitable tenant for the place. Screening tenants: The quality of tenants you place on your property would go a long way to determine how long your property would last and the amount of money to be spent on maintaining and making repairs to the property. A professional property manager knows this and would go all out to ensure that only the best tenant is given the spot on your property. With a lease agreement, they ensure that the tenants are informed of their responsibilities, and could be held liable if they fail to meet up. Also, they check the financial history and criminal records of potential tenants, so as to ensure that those they give the properties to can pay their rents, and have no past criminal records. Collection of rents: Before that, property managers, who are well grounded in the industry knows the amount of rent to collect in order to maximize your profit while not setting it on the high side. They set the initial rent amount and collect rents from tenants as at when due. They are also on ground to begin eviction proceedings against tenants that fail to pay their rents on time. Where legal actions arise against you as a result of one or two decisions taken by the property manager, the manager who is well grounded in the laws surrounding housing and rental properties also act as your representative in court. Maintenance of properties: Property management involves making sure the property is always in order, handling maintenance and repairs request from tenants. Property managers fix whatever they can fix, and call professionals to do those they can’t do. Preventive maintenance is also carried out to ensure that things do not get way out of hand before they are handled. Communication and returning checks: In property management, it is the duty of the property manager to communicate regularly with you as the owner of the property. This helps keep your mind at ease and builds trust between you and the manager. Also, the property manager has to ensure that at the end of every month, you get a check for your property. This is one of the major reasons why he was employed in the first place. A property manager who always gives excuses when it’s time to return checks to you is not a good property manager, and should be replaced as soon as possible. Importance of Property Inspections would come into play if damages were found within the house. Everyone that owns an investment of any kind will always want to be sure that its value isn’t depreciating in any way, and the real estate sector boasts of being an extremely robust area to own some stakes. So, it will be careless and irresponsible to allow degradation take over one’s building. One of the surest ways for property investors to be assured of their assets and its value is by carrying out regular inspections, which must be done thoroughly. This measure is one that many new landlords take for granted, perhaps, they feel that they have their houses rented by trusted tenants. The issue here is beyond trust, because apart from the fact some accessories could get damaged without the residents being aware, it is your core duty to inspect and protect your investments. If you do not do this, nobody else will do it for you. Here is one thing that separates renowned real estate icons from those lower down the rungs of the sector’s ladder. Some individuals who are new property buyers just think it ends with finding suitable persons to occupy their houses. No, it is not so. 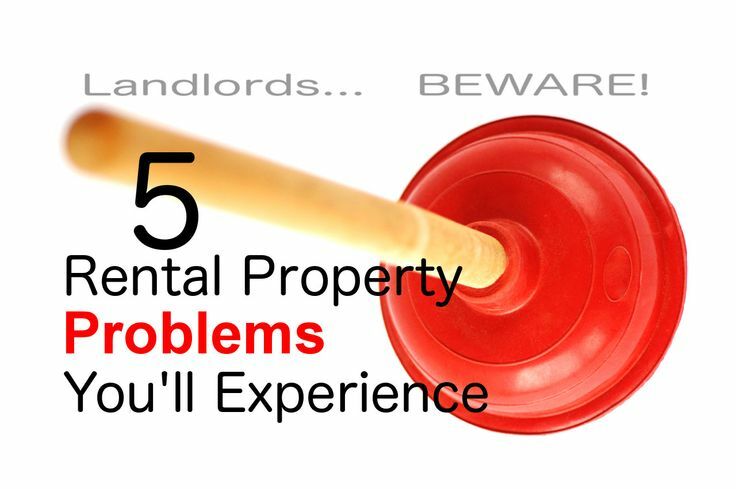 Unfortunately too, many landlords do inspections once in a long while, or they don’t do it all. Therefore, the constant review of estates has been one of the most undermined duties of house owners. The lack of time for this is usually cited as the reason, which causes them to leave their investments in the care of those who have nothing to gain or lose if the building depreciates. Let us help you to find some motivation and resolve. Here are some cogent reasons why you should perform consistent checks on your properties. To Be Sure Of The Tenant’s Commitment: A situation whereby the landlord checks regularly is the only way to be sure that the tenant is actually looking after the house properly. It is wrong to assume that in a serious matter as this. Hence, inspections ought to be done at least every three months in a thorough manner to be certain that the same standard of the property is being maintained all through. You must know that some tenants can be so carefree and destructive by default, some others may be mischievous. If you choose to stay away from this task, then you will be exposed to just any kind of risk to your building. Any Damage To Any Part Of A Building Will Normally Spread: Another good reason why you must keep abreast with how things are in your estate is to curb any damage at an early stage so that it doesn’t get further. Even though a building is made up of various kinds of materials and parts, they are all connected to each other as a single unit. See it as a disease in one part of your body that can get other parts to be infected too. For instance, a broken water pipe, if not repaired promptly can cause the walls, wooden structures to be soaked up; and if that stays that way for long, your house is on a fast lane to being in ruins. The Injury Or Death By Any Damage In Your House Can Result In You Being Sued: Any facility with bad electrical connections resulting in the injury or death of any of your tenants can lead to legal suits against you, especially if they had informed you before then about the situation and you did nothing. Safety must be ensured in all environments which humans dwell and operate in, so, this will leave you inexcusable. 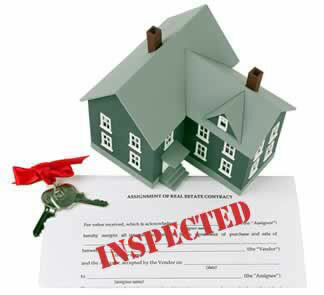 A responsible landlord should inspect his house(s) regularly and fix all complaints since it is the right of your tenant. They paid you to be in comfort in your house. You Spend Less And Save More In The Long Term: Unknown to most landlords who default at this, they don’t realize that regular inspections are the best way of making maximum profit. They do not see this perspective because they look only in the short term for what they consider as “gains” or “savings”. Anyone who is experienced in the business of properties will affirm that some renovations can cost almost as much as setting up a new building. Those who ignore this warning usually realize at the end that contrary to their beliefs; they have never been smart all along. Regular Checks Upholds The Maximum Value Of Your property: Constant inspections are the best way to be certain that your house is good condition and still has its original worth. If you stay away for too long or do it lackadaisically, how can you be sure of this? Once the quality of your building drops, it puts you in a precarious situation because you cannot sell it at the original price again or even rent it at a good price. Interested parties will always underprice it, which will lead to more frustrations to you. Attracting tenants to rental properties is a goal that any property manager would want to achieve. Many vacant property owners do display them for new tenants but for one reason or the other, have to cope with their houses being unoccupied for long or be rented by irresponsible tenants who end up causing more problems in the end. Neither of these is what anybody desires. We all want to get our places rented in time to people that we trust who wouldn’t betray that confidence. So, when trying to give out our rental properties, we should utilize the various means and not just be limited to one option. This approach will ensure that your property receives as much exposure as possible so that you certainly have offers, and you may be fortunate to have more variety of persons from whom to choose. Putting your vacant buildings out in the market means that you are trying to create the maximum exposure as you can so that as many interested people as possible who are qualified to become aware and contact you. Some of these advertising channels are paid, while others are free. As usual, you should expect the paid options to be more efficient in delivering results. Let us explore these means by which we can attract tenants to our rental properties. Take Advantage Of Your Network Of People: The people in your life, around you, and those that also have contacts with your family members, friends, neighbors, and colleagues can be an incredible marketing asset in any business and this case too. You might never have realized how many people exist at your disposal (who are your potential clients or can link up well-meaning tenants to you). Your present tenants in other properties or former ones can also alert the people that they think might need what you are offering. In fact, finding tenants this way can be rewarding because this method is based on a referral system where these people bring in those who they would have known in the past. So they can easily attest to their character and personalities. Also, the tenant who comes through this means may stay on a self-imposed leash not to misbehave whereby they are cooperative in order not to disappoint their referrals. This channel of marketing uses the network of people around you as well as their networks, and that of those in theirs; thereby, producing a spiral effect. Use To-Let Signs: This one is another marketing idea that works like magic if all things were to work well. There are a lot of apartments that have been rented via this means. It is all about putting signs about the vacancy of your property in the front of it and in the major areas where many people can see them. The importance of this is that the individuals who pass by the building might not be sure if it is empty, they might feel it is one of such houses where the occupants leave by day and return at night or one that the tenants have traveled. The “To-Let” sign is like an official declaration that the property is for rent, and that interested persons should show up and take the place. This method also uses the spiral effects of the network of people; those who see the sign may not need the building for themselves but could tell others who do. Utilize The Online Listings: There are some established marketplaces on the internet where houses for sale and rent are being displayed. So, these platforms connect buyers to sellers, which make everything easier for everyone. Examples of such include Craiglist, and Zillow. You do not want to exert so much effort physically and end up without good results or any at all without taking advantage of these great avenues. Check on these sites for local and regional listings that have the kind of people who could end up renting your place. For instance, if your house is situated in Phoenix Arizona, you can run an advert for it on Top property Shop with the help of an agent. What this method does for you is that apart from publicizing you out there, it also links you to the particular niche of the market that is relevant to you. These platforms will require that you input the specifics about your building; like the number of rooms, price range, size, etc. This way, the kind of people who need exactly your type of house will come to you. HOW MUCH RENT SHOULD YOU CHARGE FOR YOUR PROPERTY? Rent Prices can be tricky because you do not want to overcharge and have no tenants, but you also do not want to undercharge and not be able to pay the mortgage. The issue of how much rent a landlord demands from a tenant for his house is one that might seem easy to some but can be a tough nut to crack with many others. For those in the second category, this piece is for you. It is not as complicated as you assume it to be; this can be resolved by some key parameters which will be discussed briefly in the lines below. Build On Your Experience: This technique involves a practical means of measuring this figure which is based more on past experiences than on present-day facts. Even though the prices of things aren’t stable and can shift lower or higher at any time as they are too reliant on many factors ranging from economics to politics to sentiments; it isn’t a bad point to start from as we will build from here. At least we can get an estimate which gives us an idea about the range to which the price will belong, and this must be done with figures of the immediate past, that is the past few months not too far behind. For instance, if a house of $150,000 in value attracts a rent of $120; then another of $300,000 in the same neighborhood or city should be around $240. However, you must understand that this method isn’t so precise in its evaluation; all it offers are rough estimates. Look Out For The Statistics Of Housing In Your Locality: Apart from digging into the past, we can get more about this issue by checking around for relevant statistical records. A suitable place to achieve this is on the Internet. The things to look out for should be your city’s population and the number of people in need of houses per time, the median value of the rent prices for your type of home, and the average of those seeking for accommodation. Also, search for the rate of vacancy, its current trend, and how that affects prices. These figures differ from locality to locality, so focus on your area. However, you can wander a bit to the surrounding places and compare them with yours at various times; this will help you to know if confidence in your area’s housing is low or high. Consult With Reputable Property Managers: Getting help from the professionals in the field is an invaluable step to take as even your best cannot match the slightest of their experiences in the estate business. They are actively involved in matters like this on a daily basis; hence, it is their second nature. So, get a sound one and seek his advice on how to ascertain the rent of your house. Do not just focus on the value, but ask about other things. Get more information about the current market situation, and how to add more value to the building to charge higher. The quality of advice you get from these icons cannot be gotten by reading and researching. Get Your Property Out There: No matter what you discover or the information you gather from various sources, you will still come to this point of immersing your house into the market to woo tenants. Whatever you have been told are to some extent based on experiences and opinions of others, and past statistics. The only thing that will be in the present and can tell you more about all the indicators of the housing market environment is when you advertise your property and let it test the market for you. By this, you will understand what is happening presently. Another advantage you get is that if your house is not up to standard, it will be reflected in the number of interested parties that show up and how much they are willing to pay you. The quality of your house will show if you compare the manner at which people are interested and their proposed value in comparison with other similar properties in the same area. If your house doesn’t receive enough attention, probably, it is time to reduce the price or upgrade it to match your expectation.